Under endless blue skies in our land girt by blue seas, we Aussies love our blue heelers, call our redheads ‘bluey’, give our blue-ringed octopus and bluebottles the respect they deserve, and embrace the blue-collar tradition in our Blue Star gumboots and blue singlets. As for the Blue Slip, well, that’s another matter. In fact, it’s mainly a matter for NSW — land of the Blues come State of Origin time (go the Maroons!) — where the Blue Slip is an important part of motoring legislation. There are five kinds of slip you need to remember in NSW – the Blue Slip for unregistered vehicles; the Pink Slip for roadworthiness; the Green Slip for third party insurance; the White Slip if repairs are required; and the Second Slip for Mark Waugh, who took some cracking catches there during his mercurial cricket career. 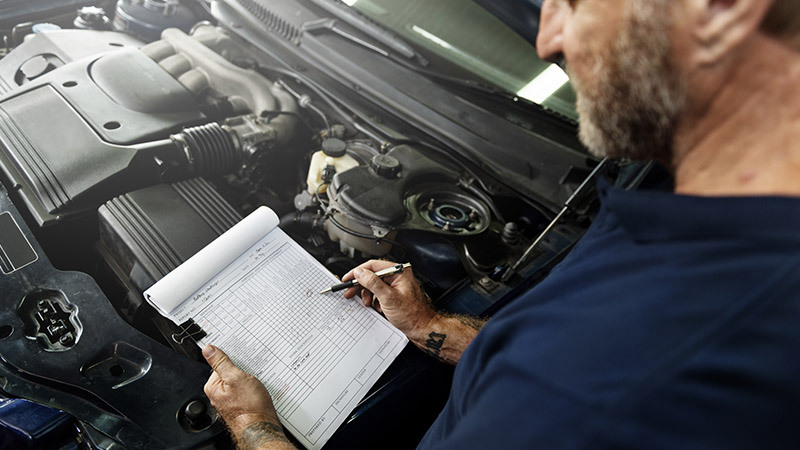 The Blue Slip is the term ascribed to the more official sounding Authorised Unregistered Vehicle Inspection (AUVI) report administered through NSW Government’s Roads and Maritime Services. It’s the document that ticks the official boxes on safety, design, ownership and identity requirements for an unregistered vehicle, whether it’s one you’ve just purchased or one for which the rego has lapsed for the required time. Other Blue Slip requirements concern vehicles unregistered for more than three months; vehicles brought into NSW from other states or overseas; vehicles without number plates; and vehicles previously written off but now approved for re-registration. Whacked a new engine in your car? Need to clear those pesky defect notices and get back on the road? That’s a Blue Slip too. How do I obtain a Blue Slip? If any of the previous points applies to your situation, the next stop should be a registry or service centre given the nod by the NSW Government under its Authorised Inspection Scheme (AIS). Like the boy scouts, be prepared and bring along your completed new registration application, as well as proof of identity, address, vehicle ownership and CTP coverage. How long does a Blue Slip last? In The Hitchhiker's Guide to the Galaxy, the meaning of life is 42. In an AUVI scenario, the report is usually valid for 42 days. However, some light vehicle safety check inspection reports are valid for six months. The following figures came into effect in NSW on July 1, 2018, and may change with the 2019-20 financial year. Need to book your car in for a blue slip inspection? Grab an instant quote now! For information on how the other states operate on safety/registration, you can count on AutoGuru.